Let’s face it, every parent can relate to the hassle of buying school shoes. Striking that fine balance between style and comfort is paramount and because kids are quite often trendsetters in their own right (ever tried making them wear something they don’t want to wear… exactly), sending them to off to school in shoes they love is so important. Plus, you also want a collection that’s affordable, which is why this season we’re turning to Italian brand Primigi’s Back To School range for all our shoe style updates. Boasting a wide range of models from classic Mary-Janes to super cool trainers, all shoes from the range come with a removable leather insole to encourage good foot hygiene and ensure your kids’ feet stay happy all day while they’re at school. The rounded-toe design also allows feet to move without restriction, while the anti-shock sole system helps protect ankles from impact. It’s these features alongside nickel-free hardware and a chromium-free lining that guarantees your little street stylers are rocking durable, comfy designer shoes, from schoolyard to story time. And once you’ve kitted the kids out in their new Primigi kicks, it’s essential that you help maintain strong, healthy feet. Unbelievably, kids’ feet perspire more than any other part of their bodies so simple things like drying their shoes outside, or inserting newspaper to help reduce humidity will keep their shoes in good order and pong-free! Similarly, alternating shoes will help prevent bacteria from forming. Busy mornings followed by a hectic school run? Primigi shoes feature easy to put on details such as elastic laces, velcro closures and side zip fasteners, which means no more scrambling around with double-bows before dashing out the door (toast in hand). Come on, who doesn’t love a handy parent hack? With prices starting from £35.99, head online to find your nearest authorised Primigi retailer and let the styles speak for themselves. The post Found! 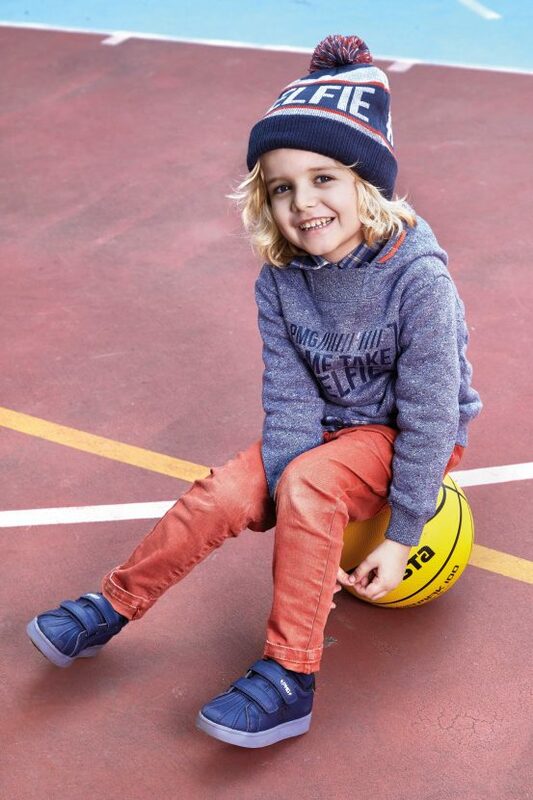 The kids’ shoe brand that’ll keep feet stylishly supported… appeared first on Marie Claire.